We understand how many challenges you face as a parent, raising a child in the modern world. 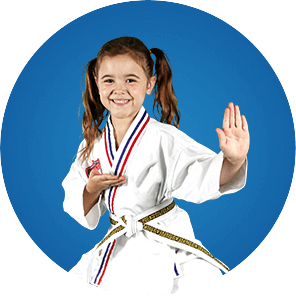 The good news is that at Karate Atlanta in Duluth, our Juniors program is the perfect companion to help you raise a strong, confident leader, teaching confidence, focus & self-defense skills. Parenting should not have to be a stressful task you face alone! Let Karate Atlanta Help You Equip Your Child For Success In The Real World. The foundation of the Juniors martial arts curriculum is the education and development of life-skills such as positive mental attitude, high goal setting, perseverance, self-control and confidence. Equip them with the tools to succeed in the real world with ATA Martial Arts. Since 1969, over one million students have trained in one of the 950 ATA Licensed schools. Our students regularly go on to join Ivy schools and become community leaders. The values they learn during their martial arts journey are the same you teach at home and last a lifetime. 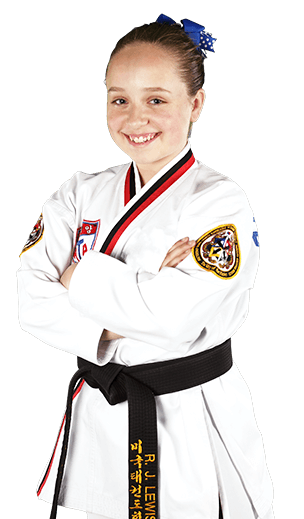 At Karate Atlanta, it is our mission to help you raise a confident, focused leader with the life-transforming experience that is martial arts. Belt testing provides an excellent exercise for kids in learning how to set and achieve goals. Your child will have the chance to test every few months to advance to a new level. Their self-esteem will continue to rise with each accomplishment as they watch their hard work pay off. Complex physical activities such as martial arts have proven to strengthen the brain’s neural networks, helping kids improve their focus and self-control. We begin each class with a warmup and practice different skills such as kicks, punches, and blocks. Each of our classes is fun, yet also require strict concentration and attention. This can be especially beneficial for kids with ADD/ADHD and children struggling with developmental skills like self-control and concentration. No, our classes are a good mix of boys and girls of all fitness levels. Beginners train alongside some of the more experienced kids, helping each other out in a fun team environment. We evaluate each student individually and take into account not just age but ability and convenience for parents. We strive to put the student first when choosing the best program for placement.